Ensure the correct Konica Minolta driver is installed. 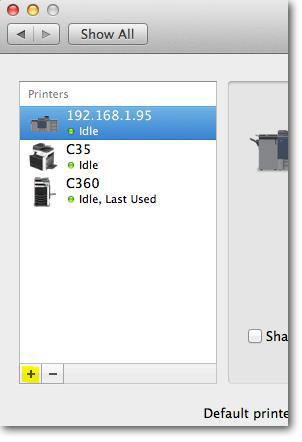 Enter the IP address of the Windows print server in the Address text box. 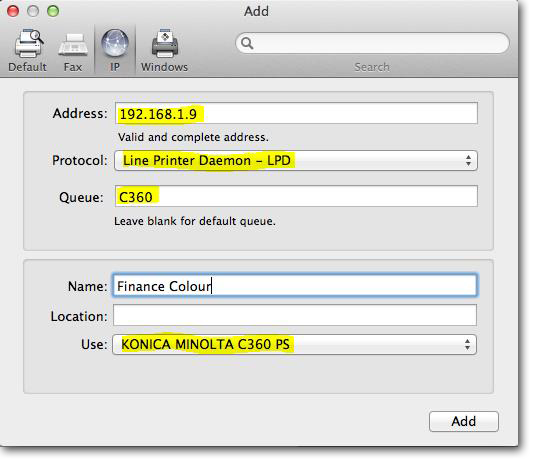 Choose Line Printer Daemon – LPD from the Protocol drop down. 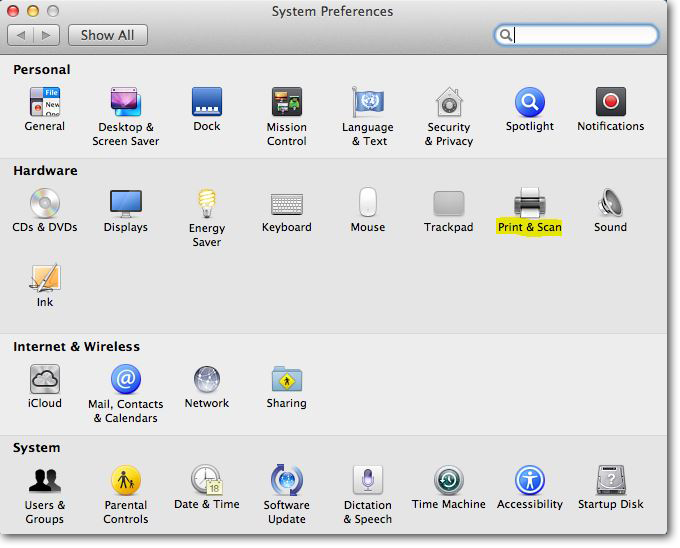 Enter the Share Name of the windows printer in the Queue text box. Note this is case sensitive.